"3D Printer Creates World's Best Inverter"
Oak Ridge National Laboratory's 3D-printed 30-kilowatt power inverter offers greater reliability and power in a compact package. "Lucio Lanza Receives Long-Deserved Award at ICCAD"
Registration for the 2014 Phil Kaufman Award Dinner at the EDAC website. "Nanotube Field Emitters Beat LEDs"
Illuminated nanotube field emitter array stimulating phosphors of a planar light source device through a neutral density filter. 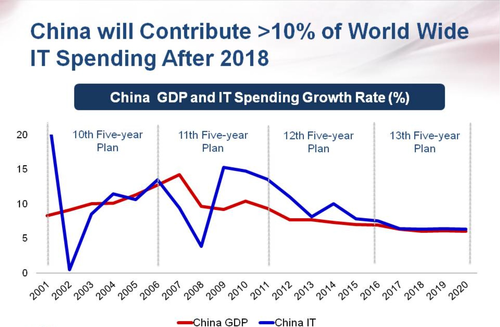 The 13th Five-Year Plan, starting in the Year of the Monkey (2016), will emphasize connectivity. 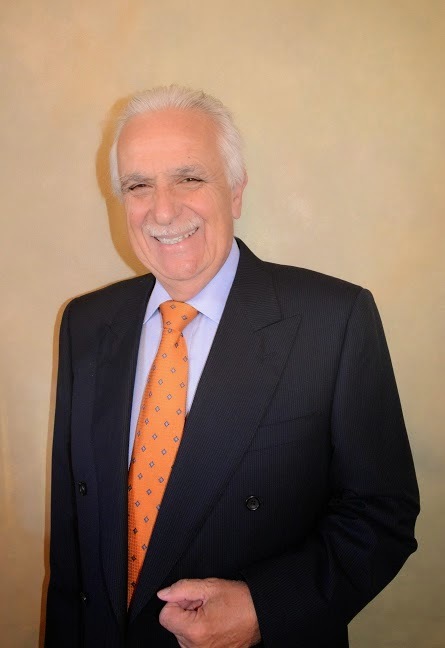 The company aims to control more than 10% of the worldwide market by 2018. 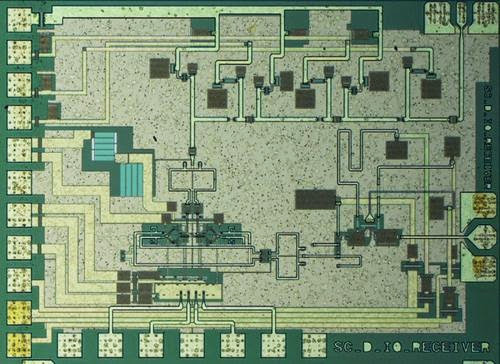 "World's Wireless Record Breaks 40 Gbit/s"
A 140 GHz transmitter chip, containing an I-Q modulator, a 3-stage amplifier, and an x3 frequency multiplier for the local oscillator measures just 1.6 x 1 square millimeters. 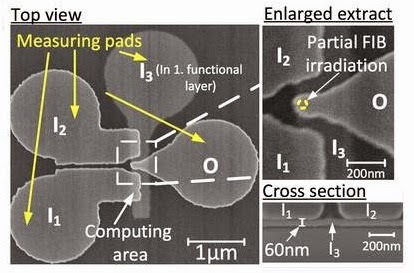 "Intel, IBM Dueling Over 14nm FinFETS"
Built on a fully depleted SOI technology base, IBM's 3D, FinFET architecture retains the advantages of SOI over bulk-based planar technologies, which IBM claims is a simpler manufacturing process, with isolation by structure, not doping, low-voltage operation, and lower power. "First 2D Atomic Piezoelectrics Unleash New Apps"
Postdoctoral fellow Wenzhuo Wu (left) and Professor Zhong Lin Wang (right) at Georgia Tech tested samples of an atomically thin material, molybdenum disulfide, which could is optically transparent, extremely light, bendable and stretchable. 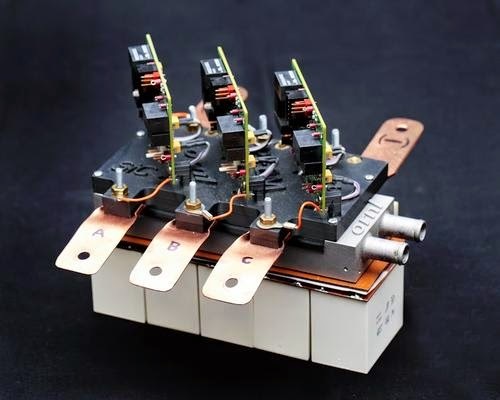 "Hybrid Solar Cells Promise 95% Efficiency"
by underlying inorganic solar cells. IBM's new global headquarters for Watson and cognitive computing may become its most important asset in the long run. 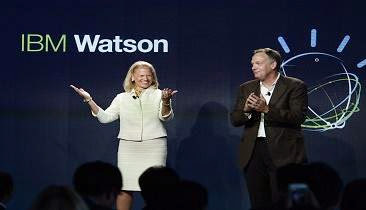 Computers modeled on the brain will eventually make even supercomputers seem like antiques: R.
IBM CEO Ginni Rometty and Senior Vice President Mike Rhodin open IBM's new Watson Global Headquarters in New York City, which IBM claims is now the center-of-gravity for next-generation computing systems that learn. "River Sensors to Clean Up Waterways"
The Recon Sonde cost 20 times less than its competitors and sends its measurements of water quality wirelessly to a central location 24/7. 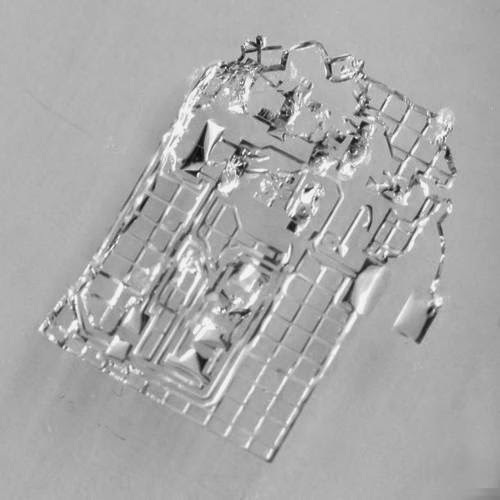 Implant that has been ordered to self-destruct dissolves in bodily fluids like dissolvable stitches. "Cheap Fusion Beats Fossil Fuels"
The stars are the only stead-state fusion reactors in the universe, but researchers at University of Washington believe they have a new design that will make fusion reactors economical to build on Earth. 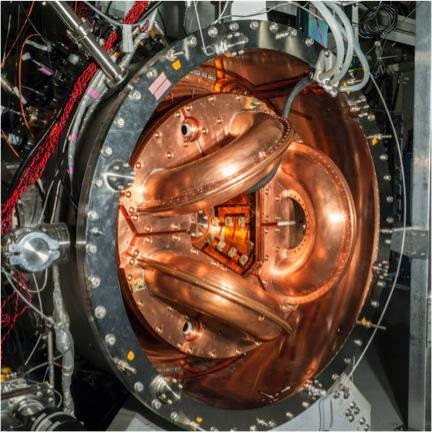 The University of Washington's current fusion experiment, HIT-SI3, is about one-tenth the size of the gigaWatt power-producing Dynomak that beats fossil fuels in energy efficiency. 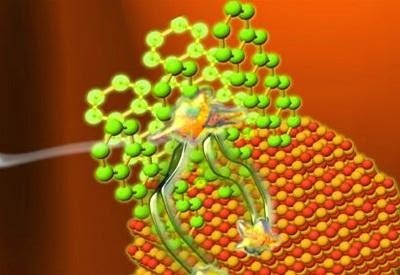 #LED: "Blue LED Inventors Win Nobel Prize"
Light emitting diodes (LEDs) hit a roadblock after making red and green, but eventually hard working scientists make a breakthrough resulting in LED TVs and more importantly white LED lighting. Lighting & Energy Electronics Center. #MEMS: "Why Do Big Companies Make Their Own Sensors?" Wafer level packaging uses simplified construction to make thousands of infrared, vacuum-packaged sensors at the same time. 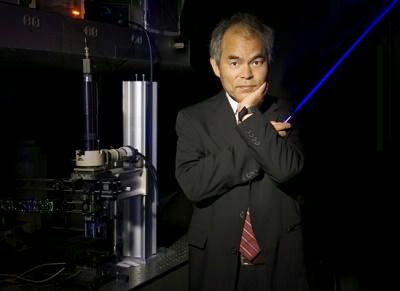 Creating optical fibers and other photonic components on U.S. soil is crucial to national security. #CHIPS: "3-D Magnetic Gates Smaller and CMOS Compatible"
3D majority logic gates (left) show dimensions less than 200 nanometers (upper right) and a third input magnet (lower right).